Beautiful punch for every woman. It is very neutral so it fits into elegant and sporty styling. It looks great on a casual dress or a simple T-shirt. This is a free pattern. 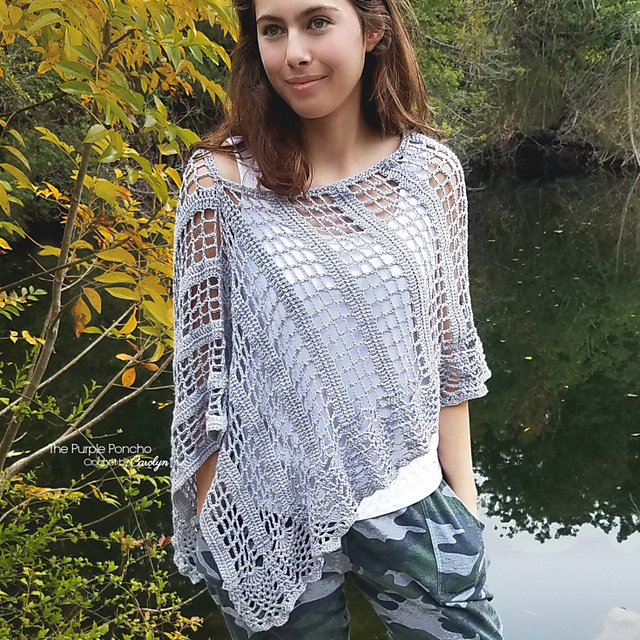 The lace poncho is made in medium size. It is therefore very airy. You can make this pattern in different sizes. They are available from XS-XL. Choose your favourite size and style of wearing. 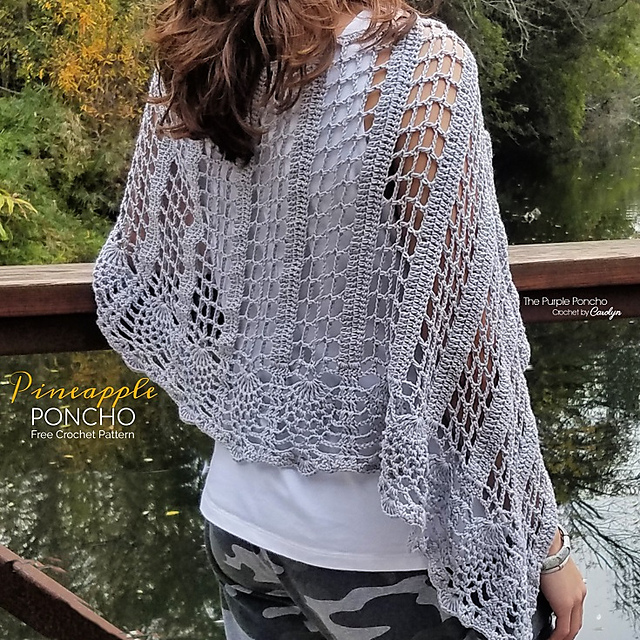 The poncho is made with a beautiful pineapple motif at the bottom of the project. The choice of grey colour for this pattern is a great idea. Pineapple Poncho Free Crochet Pattern is here.